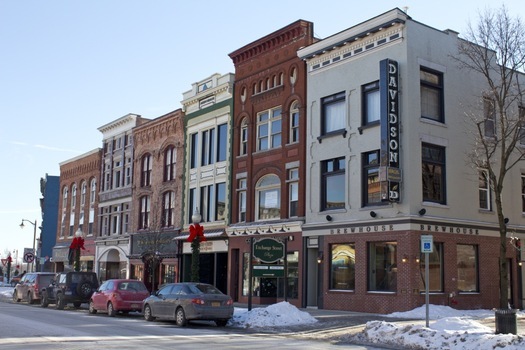 The City of Glens Falls is about 19 miles north of Saratoga Springs, located just off I-87. It's a 2-mile drive off exit 18, making it an easy destination to get to. From Albany it will take about 50 minutes of travel time. 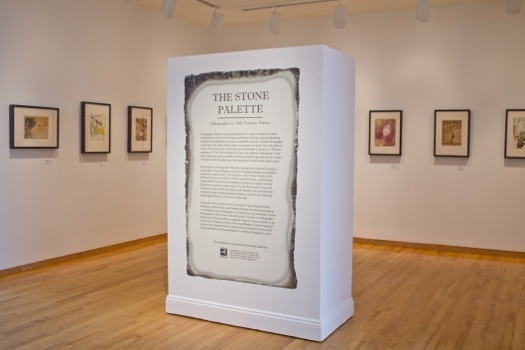 After moving to the Capital Region, The Hyde Collection is the first thing that drew me up to Glens Falls. This art museum is housed in the renovated former residence of the Hyde Family. Charlotte Pruyn Hyde, whose father co-founded the Finch, Pruyn paper company, endowed the museum with her art collection. 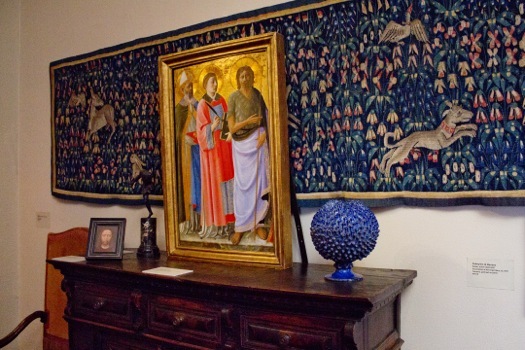 The bulk of the museum is a tour of the historic house, which features both an impressive collection of furniture and books, as well as more traditional paintings and sculptures throughout. Even though the museum is relatively modest in size, it still showcases impressive artists such as Picasso, Renoir, and Seurat. The Hyde also has a museum building that showcases rotating exhibits. Right now, 19th century French lithographs are on display (until March 15), as well as an exhibition "Wild Nature: Masterworks from the Adirondack Museum" (on display through April 12). Downstairs is a small area for children with dress-up, arts activities, and books. What I love most about The Hyde is that it's an unassuming place to get a little art fix. You don't have to spend all day in a massive museum to see some really great pieces, and it's fun to explore all of the little rooms of the Hyde House. The Hyde Collection is open Tuesday-Saturday 10 am-5 pm and Sundays 12 pm-5 pm. General Admission is $15, children under 12 free. Many local libraries have museum passes to get free admission. The Travel Well store in the The Shirt Factory. Once you've toured The Hyde, I highly recommend you check out The Shirt Factory. The building was a functioning factory until the mid-1990s, but now it houses shops, galleries, and studio spaces. It's a truly massive building, and each tenant has its own hours, so part of the fun is wandering the halls to see what you come upon. My favorite was a global goods store, Travel Well, that had interesting clothes, housewares, and other small gifts. Other shops included a pottery store, tea shop, aromatherapy store, salt lamps boutique, and other small stores. The Shirt Factory also has a number of gallery spaces, most notably the Shirt Factory Gallery. It's a large and modern space. When I visited, a pastel show by Dave Francis was on display (up through February 14). One of the advantages to Glens Falls is that it's a relatively small city. While The Hyde and The Shirt Factory are about a half mile from downtown, the rest of the attractions are grouped close to the center of town, near Centennial Circle, the five-spoke roundabout. Even on a blustery day, you can manage to hustle between spots. 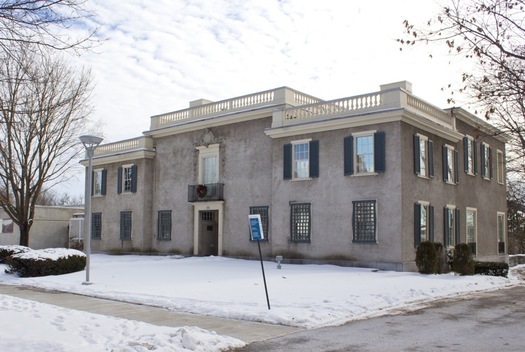 + Lower Adirondack Regional Arts Council (LARAC) - LARAC is a centerpiece of arts in Glens Falls and hosts various events and festivals throughout the year. 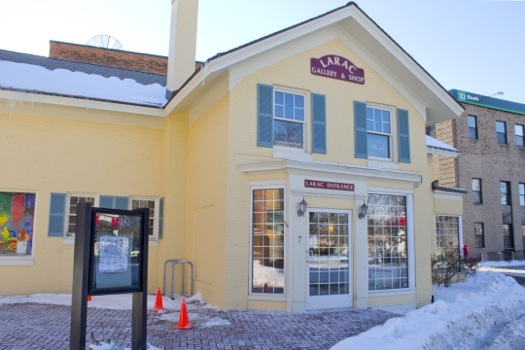 Regardless of what else is going on, LARAC has a gallery space, Lapham Gallery, which is free and open to visitors Tuesdays through Saturdays from 10 am-3 pm. + GO! Children's Museum - This museum is also known as the World Awareness Children's Museum, and has a focus on exploring customs from around the world. Younger kids will enjoy pretend play in all of the various environments, while older kids may be able to glean more meaning behind the cultural exhibits. There's a neat interactive exhibit on kaleidoscopes up through the end of January. + Bistro Tallulah - A small place that's loved by many locals for its good food. Reservations are highly suggested. + Morgan & Company - This is one of Glens Falls newest restaurants, having opened in October 2014. It's run by two chefs from Boston, and their elevated comfort food has been getting good reviews so far. + Rare Earth Wine Bar - This wine bar/bistro opened about a year ago too good reviews. One of its owners is chef Paul Parker from the former Chez Sophie in Saratoga County. + Davidson Brothers - If you're looking for something a little more casual, stop at Davidson Brothers for a drink and some pub-style food. + Fountain Square Outfitters - A nice local shop for high quality outdoor gear. They have brands like Patagonia, Keen, and Outdoor Research. + Sketch - Even though this space is primarily for classes in fashion design and sewing, Sketch also has a really cute little shop. It's a nice small boutique for drawing supplies, stationery, and gifts for women and girls. + Milk & Honey - A quaint two-story shop that has women's clothing, baby gifts, and housewares. Bistro Tallulah--best restaurant in the region and worth the trip but get reservations. Seconding Rock Hill Bakehouse, sometimes it is the ONLY reason I drive into downtown. I've never had a bad sandwich, soup, and/or coffee there, and the open mic night on Thursdays is entertaining. Downtown Glens Falls is so nice and there's surprisingly a lot to see/do/eat/drink. Love these suggestions. I'd also recommend Aimee's Dinner and Movie - only place like it in the area that I know of. Coopers Cave Brewery is not bad and it's attached to a pretty stellar ice cream window along the bike path. I think the ice cream section is open during the winter and they have the largest selection of soft serve I have possibly ever seen. And, speaking of ice cream, while you're up in that area, Martha's Dandee Creme, during the season, should not be missed in Queensbury. Man! I can't believe I missed awesome baked goods. Thanks for filling us in. Another vote for Rock Hill Bakehouse. If you should happen to be there on Sunday, all the bread is half price! I have to second Bistro Tallulah. 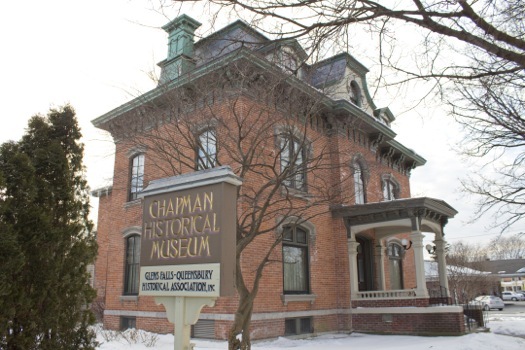 The Crandall Public Library & its Folklife Center and Gallery are worth a stop, too. And Bistro Tallulah - me too - oh yes! I'm heading to Glens Falls to Bistro Tallulah for dinner tomorrow night, one of my favorite restaurants! Thanks for visiting The Shirt Factory and mentioning my store. 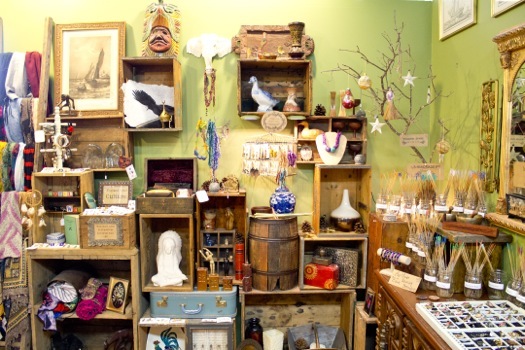 There's always something interesting going on and it's a great place to shop local! Thanks for the shout out! :) Glad you enjoyed it! The chefs at Morgan & Company may have, most recently, called Boston home, but Rebecca Newell Butters is Glens Falls born and raised! Glens Falls really has it all. And, it's all within walking distance. I love Glens Falls. It is one of my favorite places in the world! Don't forget Gourmet Cafe. They have an fantastic menu, including homemade gluten-free foccaccia and the best chicken salad ever! Crandall Library has plenty of culture in their basement,local folk groups to listen to, and a folk life center to find out more about your roots or area, and being from Albany you can check out books with your library card. The bridge that has the falls also is a cool place to check out with a viewing deck and historical info. Always remember to support our local small businesses. This is what America was built upon and without everyone's support we all lose to the BigBox Stores. 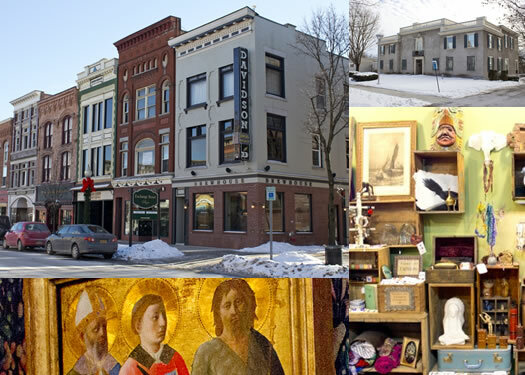 Keep Glens Falls and the surrounding towns thriving with local businesses! Shop hometown! Don't forget shopping at Minky Mink clothing boutique and Laura's Vintage. Two personal favorites downtown GF!! !